Set a timer for ten minutes and grab as much trash as you can find (this includes clothing that can’t be repaired or cleaned, shoes that are beyond wearing, etc.) Place in the trash bag. .
Reset the timer, grab another trash bag and toss in any items that don’t belong in the space. Spend a few minutes putting those items where they belong. Reset the timer, grab another trash bag and grab anything you don’t want to keep. Be ruthless! If you haven’t worn something in a year, if it doesn’t fit, if you wouldn’t buy it again – in the trash bag it goes. Place these items in your car and drop them off at a favorite charity next time you are out. Thirty minutes in, and you are well on your way! Reset the timer and gather up winter items. Gather any items that need to be cleaned or repaired. Place them in the laundry room. 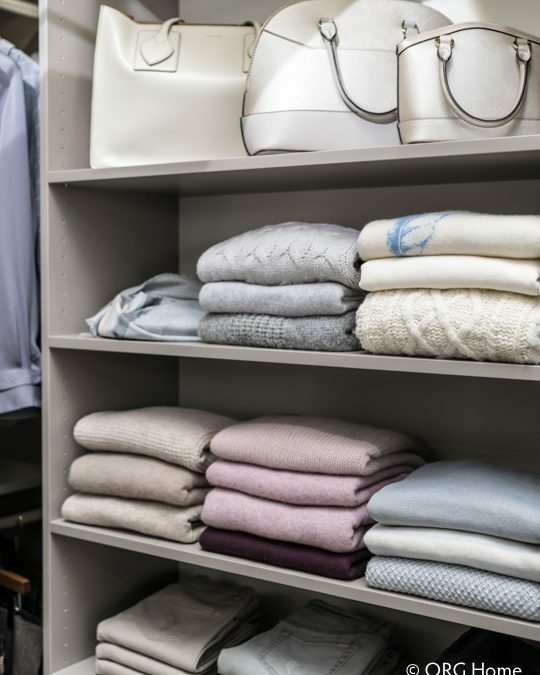 Place the other winter items up high or in the harder to reach areas of your closet. Very good idea. Now to get the energy to do this.